The Home Office has been accused of colluding with online ad firm Phorm on "informal guidance" to the public on whether the company's service is legal. E-mails between the ministry and Phorm show the department asking if the firm would be "comforted" by its position. The messages show Phorm making changes to the guidance sought by the ministry. Lib Dem Home Affairs spokeswoman Baroness Sue Miller, who has questioned the Home Office about Phorm, said the e-mails were "jaw dropping". A Home Office spokesperson said the suggestion of "collusion" was totally unfounded. "We have repeatedly said since these documents were released a year ago that the Government has not endorsed Phorm or its technology. The e-mail exchanges were released under a Freedom of Information (FOI) Act request made by a member of the public and sent to the BBC. The exchanges between the Home Office and Phorm date back to August 2007, in which the ministry asks the company for more information about the technology following a request made by Phorm for a view on its technology. The Home Office has said previously that exchanges were about helping the department understand "public safety considerations and legal obligations" about behavioural advertising in general. Phorm serves up adverts related to a user's web browsing history that it monitors by taking a copy of the places they go and search terms they look for. Adverts related to that history are put on any websites that have signed up to use Phorm. In an e-mail dated 22 January 2008, a Home Office official wrote again to Phorm and said: "I should be grateful if you would review the attached document, and let me know what you think." The Home Office official wrote to Phorm: "If we agree this, and this becomes our position do you think your clients and their prospective partners will be comforted." Baroness Sue Miller, Liberal Democrat spokeswoman on Home Affairs, told BBC News: "My jaw dropped when I saw the Freedom of Information exchanges. "The fact the Home Office asks the very company they are worried is actually falling outside the laws whether the draft interpretation of the law is correct is completely bizarre." She added: "I couldn't be more surprised [that] the very department drawing up policy to protect people's privacy is being that cynical. In a letter to the Guardian responding to an article written by Baroness Miller, Phorm's chief executive Kent Ertugrul denied there was any "collusion" between the firm and the Home Office. He wrote: "This is untrue and misrepresents the way in which the British legal system works." He said the advice given by the Home Office was "an informed opinion on ISP-based targeted advertising, but in the United Kingdom it is for the courts to decide what is or is not legal, not the Home Office". 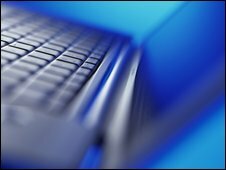 Baroness Miller said she was concerned that the Home Office was "very interested in the technology" for its own purposes. However, Mr Ertugrul said it was "misleading to invent a link between Phorm's innovative technology and the Government's plans for counterterrorism". Phorm has consistently defended its technology, saying it offers greater privacy protection than rival systems, and that it could help generate fresh sources of advertising revenue for websites. The company has also stressed it believes consumers will benefit because they would receive more relevant adverts. The company has launched a website, which it says is aimed at stopping the "orchestrated smears" against Phorm. Jim Killock, executive director of privacy campaigners, the Open Rights Group, said: "The Home Office's job is to uphold the law: not to reinterpret it for commercial interests. "It's extraordinary, when you think of the blatant disregard Phorm showed towards UK laws in its secret trials, that this sort of lax attitude should be shown."